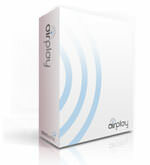 Files with s4e extension are used by Airtplay SDK program. It is a text file format and the file contains some scripts. What is s4e file? How to open s4e files? The s4e file extension is associated with the part Airplay SDK called Extensions Development Kit (EDK). An S4E file is the starting point for defining and creating an extension. It is a text file used to define all the extension's external APIs as well as directives for which EDK features it requires, and thus what should be included in the auto-generated wrapper parts of the extension. S4E files are essentially C header files - since they contain all the header information for the extension - with extra EDK information added. Marmalade SDK offers a complete solution for the creation of high-performance, multi-platform, native (C/C++) applications for mobile, embedded and desktop platforms. Marmalade SDK for Mac helps users to create applications for iOS, Android, BlackBerry, Windows and Mac, as well as selected Smart TVs. Use Airplay SDK to open S4E header file. The s4e extension file is not convertable. and possible program actions that can be done with the file: like open s4e file, edit s4e file, convert s4e file, view s4e file, play s4e file etc. (if exist software for corresponding action in File-Extensions.org's database). Click on the tab below to simply browse between the application actions, to quickly get a list of recommended software, which is able to perform the specified software action, such as opening, editing or converting s4e files. Programs supporting the exension s4e on the main platforms Windows, Mac, Linux or mobile. Click on the link to get more information about listed programs for open s4e file action. Programs supporting the exension s4e on the main platforms Windows, Mac, Linux or mobile. Click on the link to get more information about listed programs for edit s4e file action. Programs supporting the exension s4e on the main platforms Windows, Mac, Linux or mobile. Click on the link to get more information about listed programs for create s4e file action.